I’m SO excited to share this recipe with you today. 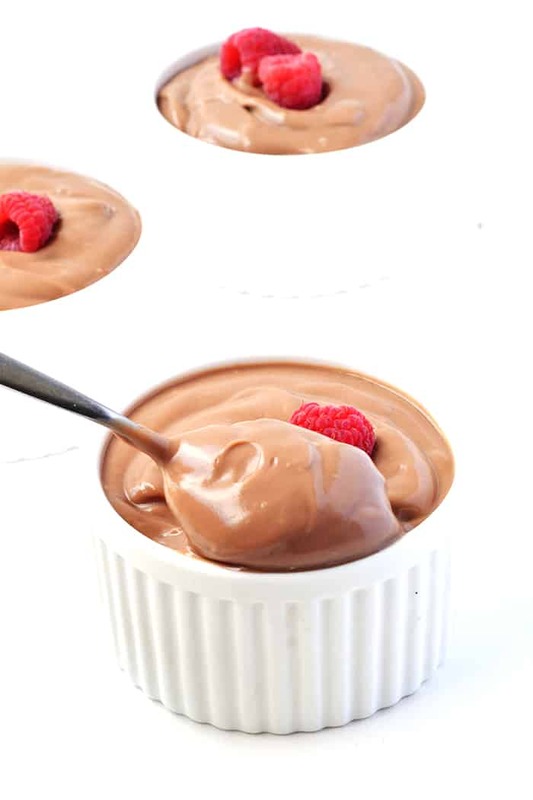 You and I can now make and EAT American-style chocolate pudding any time we want. 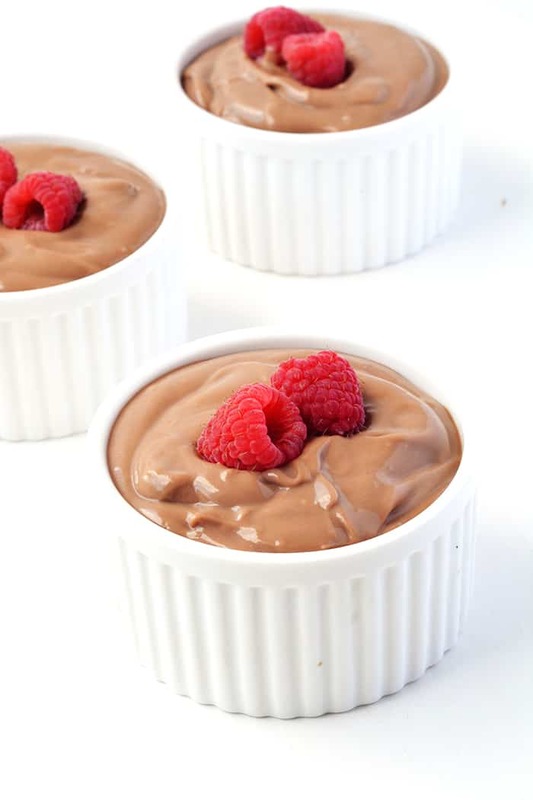 This creamy chocolate pudding is what dreams are made of. It’s rich, it’s thick and it’s completely irresistible. Today is all about making chocolate pudding from scratch. 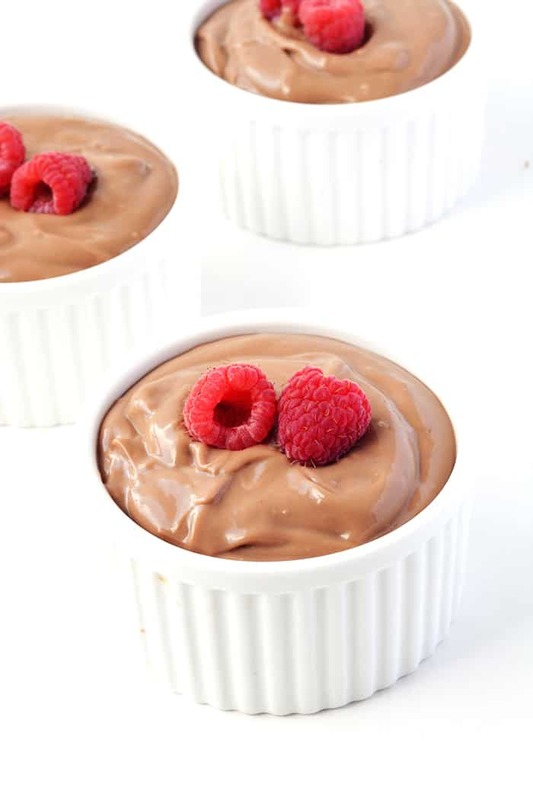 That’s right – throw away the box, because these creamy chocolate pots are better than any pre-packaged dessert. And they’re so much easier to make than you’d think! 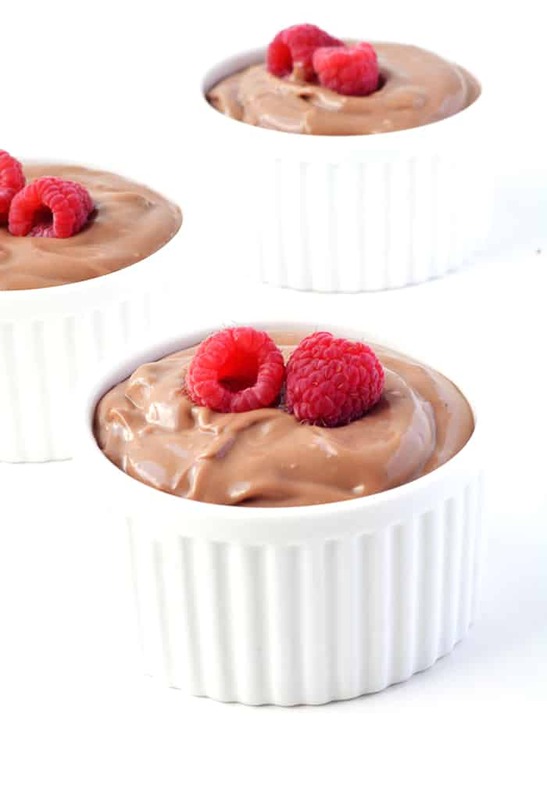 We love American-style chocolate pudding in our house. And now we don’t have to go ALL the way to America to get some. We can make it at home – ALL the time. In fact we’ve made this pudding 4 times in the past 2 weeks – we can’t get enough! Here in Australia, when you say pudding, most people think of the cake-like dessert – like a self-saucing pudding. This 👆🏻 is not that. This pudding is reminiscent of a beautiful chocolate mousse, but with a thicker texture and a better depth of flavour (in my opinion). It’s my new favourite dessert. I’ve always felt a little intimidated to make chocolate pudding from scratch as it involves making your own custard, but I’m so glad I learnt how to. I promise it’s not as hard as it appears. I’ve put together a simple recipe that minimises the risk of cooking the eggs or getting a lumpy outcome. 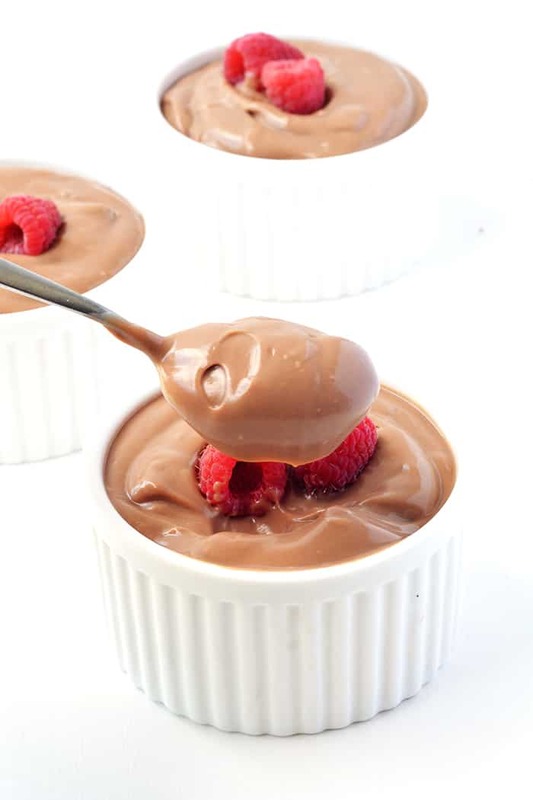 Instead you’ll end up with a silky smooth chocolate custard. So how are you? This past week was a big for me, lots of things on at work and outside of work and tons of recipe testing . I made 7 batches of cookies, in the past 5 days, all in the name of recipe testing. Needless to say, I’m all cookie-d out. I’m still enjoying this Chocolate Pudding though. The husband and I went and saw the movie Hidden Figures on the weekend and loved it. Have you seen it? I’ve been listening to the soundtrack while baking. Makes me want to go back to America! Are you celebrating Valentine’s Day this year? We don’t really do much for Valentines because our wedding anniversary is the day before (today!) so we sort of celebrate that instead. Well I best be off to work but I hope you have a great week! 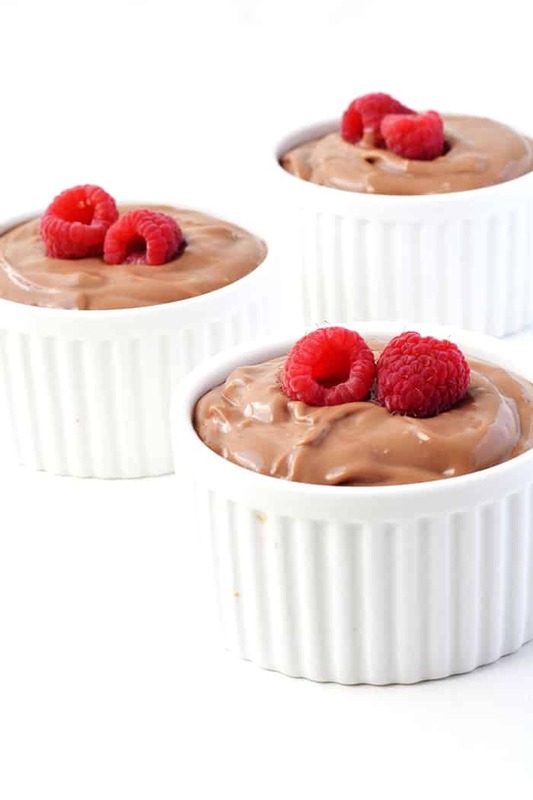 American-Style chocolate pudding that’s thick, rich and irresistible. Add 2 cups of milk to a medium saucepan and place on a low heat. In a separate mixing bowl, add your sugar, cornflour, egg yolks and the remaining 1/2 cup of milk and whisk together until smooth. Once the milk is hot to the touch (but NOT boiling), remove from the heat. Gently add a splash of the warm milk to your egg mixture and whisk. Then add a little bit more milk and whisk again. (By add the warm milk slowly, you will prevent your eggs from scrambling). Then slowly stream in the rest of the milk into the side of the bowl, while whisking at the same time. Once you have add all your milk, pour the mixture back into the saucepan and place on a medium heat. Stir continuously until the mixture thickens, about 5 minutes or so. Then remove from the heat and add in the vanilla, milk chocolate and dark chocolate, stirring until thick and smooth. Transfer to a large bowl. Cover with cling wrap, ensuring the wrap touches the top of the pudding (this will help to prevent it from forming a skin). Then refrigerate for at least four hours. This is SO much better than the packet stuff. Thank you! So happy to hear that Josh!! Being a big fan of chocolate, I am always on the hunt for new recipes. This one made my day! Can’t wait to taste the chocolate pudding! Gahhhhh…..this looks amazing Jess! I can’t believe I’ve never tried to make homemade pudding before! With your delicious recipe I can tell that I will be making it soon! I have never made homemade pudding before and now I’m wondering why?! This looks so delicious, Jess! 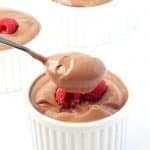 When I was a kid I loved chocolate pudding from the store, so when I started making desserts myself I kind of wondered why anyone would make their own pudding. What could be the big difference? Then I finally made some and tasted it. Whoa! Store-bought just does not compare to homemade. And this looks like a wonderfully thick, delicious pudding! 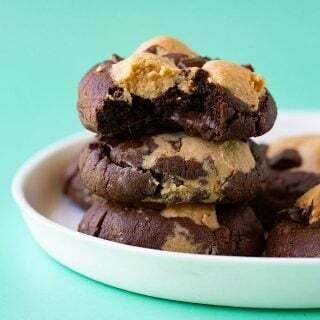 You’re making me want to make this right now! I was the same Amanda! Some things really do taste better homemade. And this recipe really isn’t much more work! Happy Anniversary to you two! 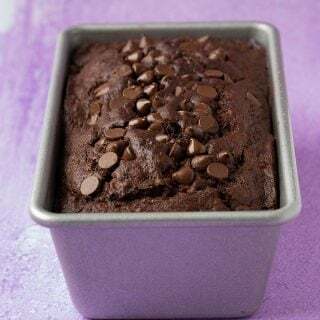 These chocolate pudings look so good Jess and so easy too! 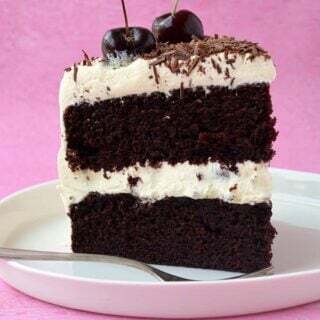 Ooh, this looks so velvety smooth and delicious! Homemade pudding really is so much better than anything boxed or bought!